Autumn is when one can find one of my favorite turf diseases -- elephant's footprint. Or at least this is my favorite name for a turf disease. It is found most often on unmown Zoysia japonica. Al Bancroft shared a photo last week of what looks like early development of elephant's footprint. That's in Tamil Nadu, where one must beware of elephants. For more about real elephant footprints on turf, see this turfgrass mystery. We'll get to the N below. But wow! I didn't know silica was such a hot topic! After writing a few days ago (original post here) about silica and green speed, and how it doesn't make sense to me that silica application could increase green speed, there was quite a response, by e-mail, at this discussion on Facebook, and at this discussion on Twitter. Korai (Zoysia matrella) greens are notorious for the high silica content of their leaves, but they are not noted for being exceptionally fast. Except when they are dormant. The idea that leaves with more turgor pressure, or leaves with more silica, could somehow be faster, still doesn't make sense. 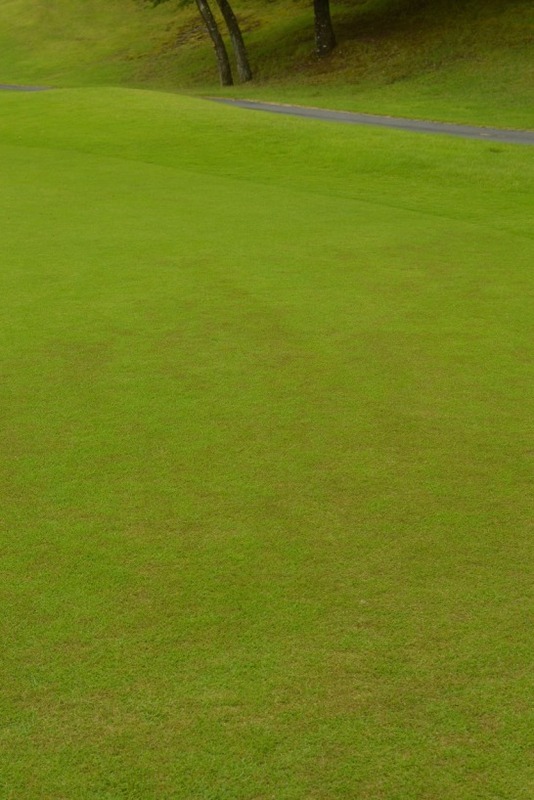 If that were the case, actively growing korai greens would be faster than dormant korai. Fortunately, data on green speed are easy to obtain, so if silica application really does increase green speed, someone should be able to measure it. @asianturfgrass Applying silica for green speed is ridiculous. Applying it to boost plant defense against pests and stress is why we do it. Continuing that discussion, I pointed out (with the help of John Dempsey) that silica application (in this case, calcium silicate) can also cause a dramatic increase in turf disease, especially with brown patch. So although I think Si application to turf is something worth investigating, and because the reported results are so divergent, Si is something that especially calls for a check plot. 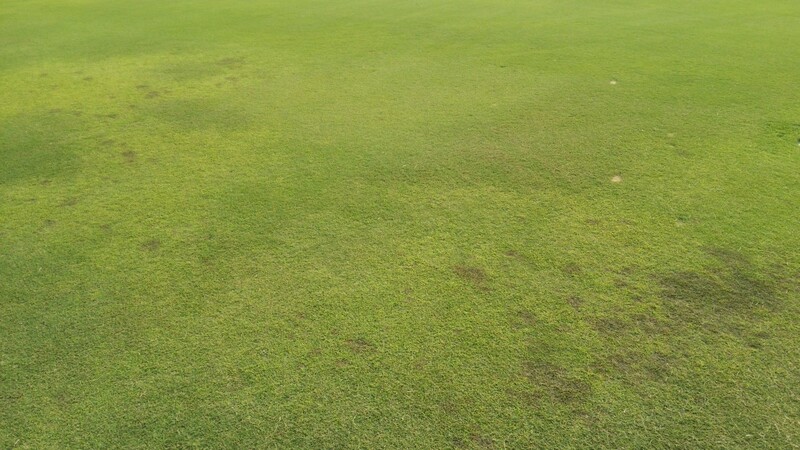 @asianturfgrass the one concern about MLSN for me is the potential for $ spot or anthracnose with low levels of N.
I want to explain that now, because grass with low N in the leaves is more prone to dollar spot or anthracnose -- when the other conditions are right for those diseases. But the MLSN guidelines don't include N. The MLSN guidelines are for the macronutrients K and P and for the secondary nutrients Ca, Mg, and S. There is no MLSN guideline for N, and none for the micronutrients (for more about why there are no MLSN guidelines for micronutrients, see this). There are two parts to my explanation. First, the MLSN guidelines don't include a recommendation for N. When I talk about N, I explain it like this. Adding more N makes the grass grow faster, and reducing N supply results in grass that grows slower. One of the (maybe the most important) most important tasks for the turfgrass manager is to control the growth rate of the grass. The optimum growth rate is to grow just enough to recover from traffic damage. The optimum growth rate is very site specific. Turfgrass managers will generally choose the nitrogen application rate based on three things. They will look at the color of the grass and decide whether they want it to be the same, greener, or less green in the future. They will check the growth rate of the grass, and also consider whether that current growth rate should be adjusted. And they will consider the way N has been applied in the past, what the results of those applications were, and incorporate that knowledge, and an assessment of the current turf conditions and weather and weather forecast, to consider if the amount and source of N applied in the past should be applied again, or if it should be adjusted. This is not part of MLSN, but I suggest it can be added to those three things. The temperature-based growth potential of PACE Turf can be an excellent site-specific predictor of how much N the grass may use at different times of the year. That information can be added to the color, growth rate, and experience to help choose the optimum N application rate. To try it out, the climate appraisal form from PACE Turf has all the equations embedded. You can input temperature, grass type, and maximum N rates for your site to see how this works. To reiterate, N recommendations are not part of MLSN. The turfgrass manager decides what growth rate is desired at the facility, and chooses the N rate by whatever method desired. Second -- and this is where N supply and MLSN fertilizer recommendations are connected -- when I calculate a K, P, Ca, Mg, or S recommendation based on soil test results and the MLSN guidelines, I will consider how much N is applied at that location. This is part of the a + b - c approach that I explained in this presentation. How do I integrate N? a is the amount of an element the grass uses. That is where N comes in. b is the MLSN guideline, nothing to do with N. c is the Mehlich 3 soil test result for an element, nothing to do with N.
To estimate a, I recognize that when more N is applied, the grass is going to grow more. As it grows more, the quantity of nutrients harvested from the soil are more. Thus, the fertilizer recommendation for an element increases the more N is applied. One of the fundamental questions I ask about any turfgrass management practice is why are we doing this? I'm glad Jason is questioning MLSN. Question everything! In this case, however, I don't see that there is any connection between MLSN, N, and increased potential for disease. I had a chance to talk with Frank Rossi tonight on TurfNet RADIO. We discussed turfgrass nutrition, soil testing, the MLSN guidelines, the Global Soil Survey (GSS), and not much else. But Dr. Rossi has a way of asking interesting questions, and I tried my best to answer them in a way that makes sense. Have a listen to our discussion and see if we succeeded! "This publication is intended for professional turfgrass managers who use fungicides as part of an overall disease-control program"
"This publication" is Chemical Control of Turfgrass Diseases 2015 by Paul Vincelli and Gregg Munshaw. A wealth of information about diseases is packed into only 24 pages. And it is not just about chemical control. Common turfgrass diseases are described, the environment and season in which the disease is most likely to occur are explained, and the best control measures for each disease are given. There are also informative sections about fungicide resistance, improving spray efficacy, detrimental effects of pesticides, and much more. This is a guide that will be of use to every professional turfgrass manager. Golf course superintendents are forced to manage their plants on the brink of death to ensure firm, fast playing conditions. When managed on the precipice of death, many times turf falls off the edge and succumbs to decline. 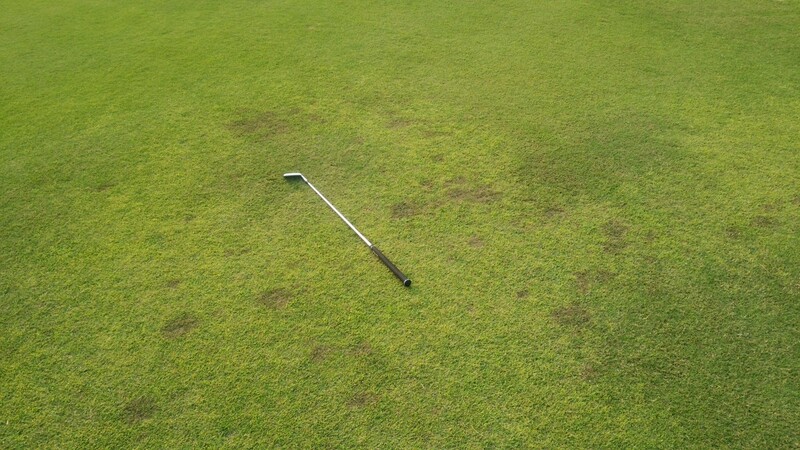 The golf course superintendent then must determine if a disease or some other factor is killing their turf. In this situation it is always easiest to assume a disease is causing the problem, however many times a biotic entity is not the cause of decline. Over the past 8 years, our Turfgrass Disease Diagnostic Lab has received approximately 4,000 samples. Of those samples 30 to 50% do not have the appropriate characteristics of a plant disease. That's interesting. Almost half the samples submitted to the diagnostic lab do not have appropriate characteristics of a disease. And when sending a sample to a lab for diagnosis, are photos useful, and if so, just what type of photo should be taken? Photos are an excellent addition to any submission. They clearly show what stand symptoms are present and the pattern of development. We suggest only taking pictures from a distance, we typically find that close-up images are not useful. This is something quite interesting too, that pathogens are in almost every sample, even in healthy turf. 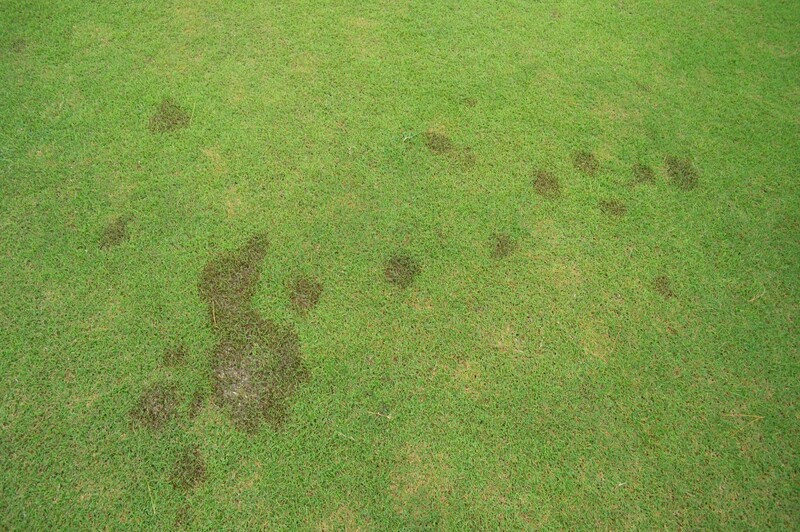 Turfgrass pathogens are ubiquitous in nature. Turfgrass systems produce a lot of carbon and are excellent environments for microbes. In many cases we see multiple plant pathogens in a given sample. Yet we do not report all the organisms we find. For example, in almost every sample we receive significant amounts of dark, ectotrophic fungi are characteristic of take-all patch or summer patch are present on roots. Again coming back to the diagnosis triangle, diagnosing a disease is more than simply finding a plant pathogen. A disease is an abnormality in structure or function of plant due to the continuous irritation of plant pathogen, therefore it is important to realize that pathogen does not equal disease. In my humble opinion, receiving a report listing plant pathogens is not an accurate disease diagnosis. 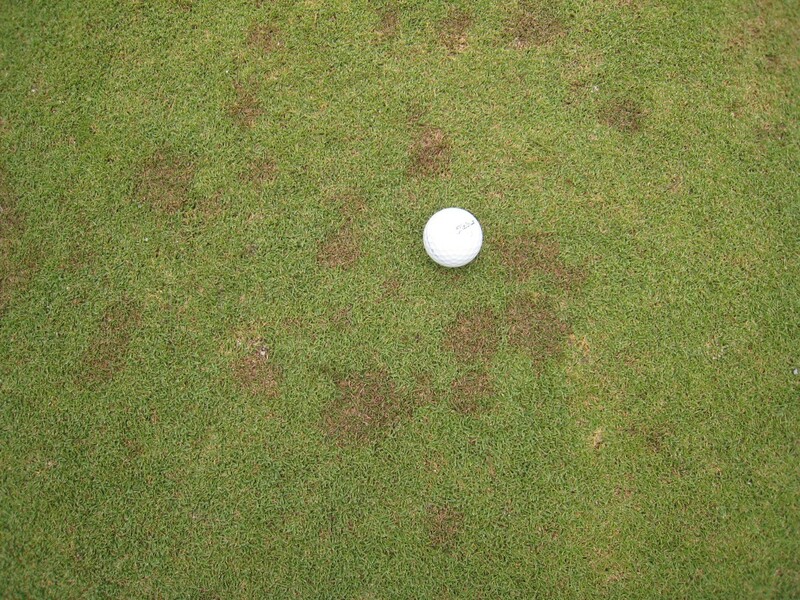 In many cases, especially with warm-season turf during times of active growth, one sees very few diseases even though pathogens are still present. 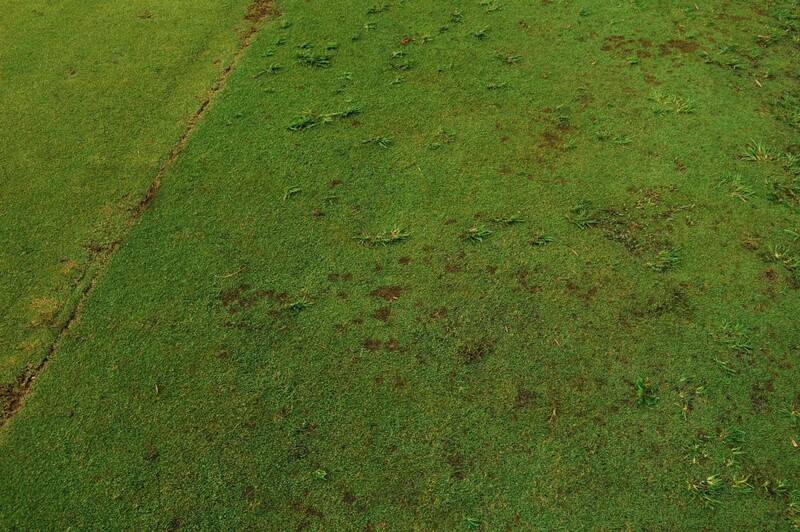 If you have a turfgrass disease problem, this list of turf diagnostic labs from PACE Turf will help you find a suitable place to send a sample.